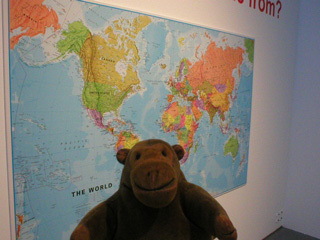 "Some humans have very little idea of where their house actually is, you know"
After listening to a room full of recorded accents, Mr Monkey arrived at the Belonging section. 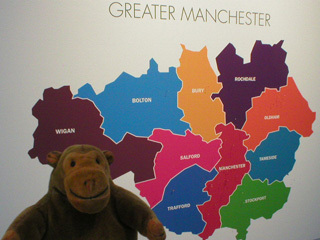 He let his humans choose where to put pins in the world map to show where their families came from, but had to point out the error of their ways when they demonstrated they weren't sure where in Stockport they lived. Eventually they put a pin in the right place, more or less.